Dr. Keith-Jerome, a virologist in Seattle and co-director of DefeatHIV said that: “We’re excited and honored to be able to continue DefeatHIV’s work and keep Fred Hutch at the center of HIV cure research, particularly in the area of cell and gene therapy." Using engineered HIV-resistant and anti-HIV T cells to target cells that carry HIV as a potential cure. This research area will take an approach that has been used to fight cancer, and transfer its method to combating HIV. Cancer researchers have been able to genetically modify T cells of patients by using chimeric antigen receptors (CARs), synthetic receptors, to kill certain cancer cells that contain a specific marker. The DefeatHIV team will study the possibility of engineering CARs that will be able to target markers found in cells that have HIV. Using a genetically engineered synthetic antibody to to fight HIV. Researchers working on this approach will be led by Dr. Michael Farzan from the Scripps Research Institute in Jupiter, FL. Dr. Farzan created a molecule in 2015 that proved to be more powerful at fighting HIV than any naturally made antibody in humans. The team working with DefeatHIV will continue to study this engineered antibody and its potential to treat HIV. Using a therapeutic vaccine to increase the immune system's response to HIV-resistant cells, like genetically modifies T cells. This portion of the research will be led by Dr. Jim Mullins from the University of Washington. 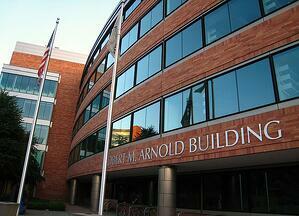 The Fred Hutchinson Cancer Research Center is the only comprehensive cancer center in the Oregon and Washington area. Fred Hutchinson has an annual research budget close to $400 million. Fred Hutchinson Cancer Research Center receives more funding from the National Cancer Institute than any other research institution. With so much funding from the NIH and other sources, researchers at Fred Hutch have the means to purchase many new lab products that will assist their research projects. 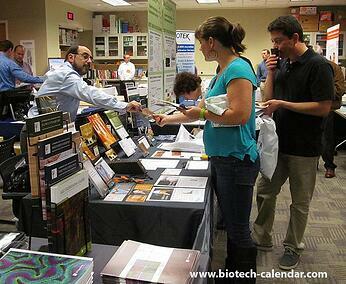 Biotechnology Calendar, Inc. produces an annual BioResearch Product Faire™ event in Seattle that is a premiere opportunity for laboratory suppliers to market to life science researchers, and allows the researchers to find the best products and technologies for their work. The 12th Annual BioResearch Product Faire™ Event in Seattle, WA will be held on Wednesday, October 11, 2017 and is expected to attract over 100 life scientists. 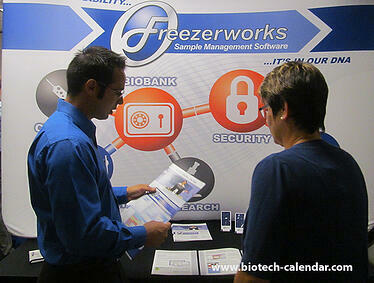 Last year, 129 attendees came from 6 different research buildings and 14 on-campus departments.